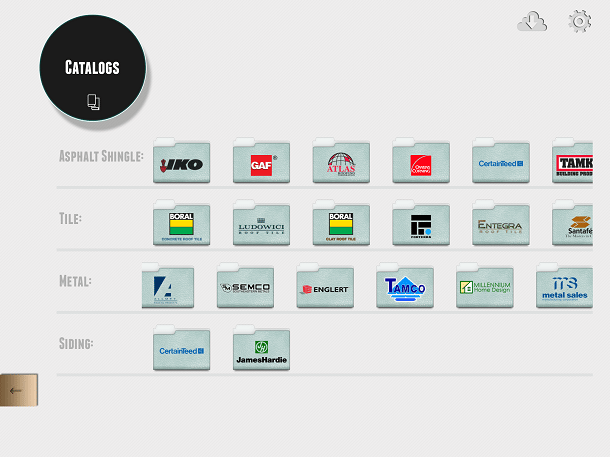 Meet the largest collection of manufacturer catalogs in the industry; automatically updated and based on product availability in your area. 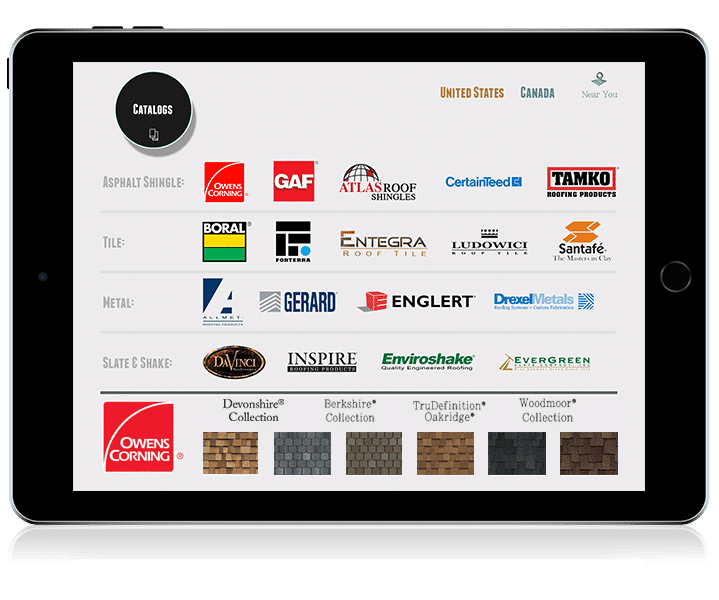 There’s no need to carry (and keep up with) outdated paper catalogs; simply choose your desired manufacturer in iRoofing, and you will have full access all brochures, product photos, tech specs, and NOAs… directly from your tablet! 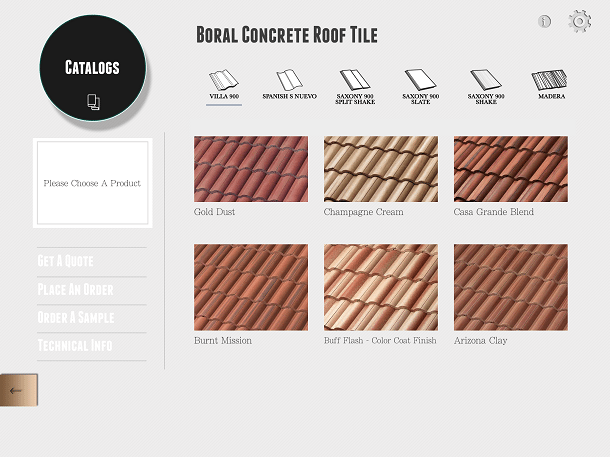 Every product can then be loaded into the Roof Visualizer to show clients how it will look on their own roof! 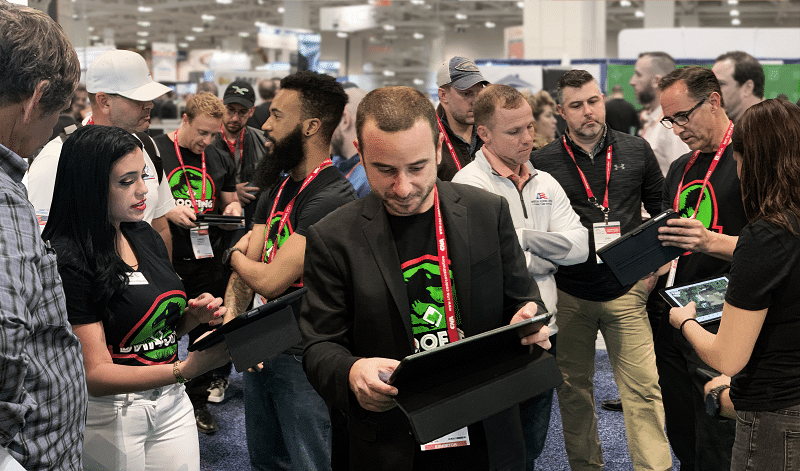 There’s no cost per-use, and every membership includes unlimited access for three members of your team. 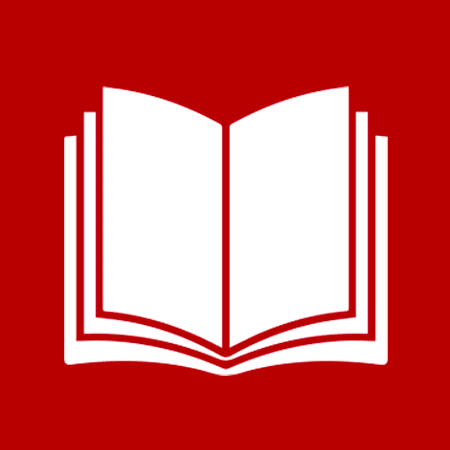 Eliminate unnecessary clutter and stay up-to-date with digital catalogs! 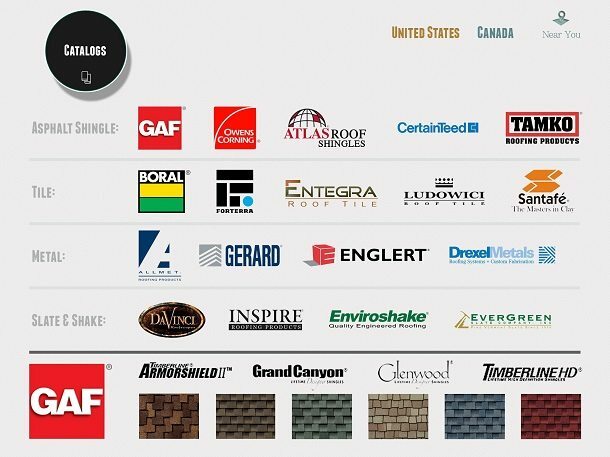 iRoofing contains the largest collection of roofing and siding manufacturer catalogs in the industry; available directly from your tablet device. 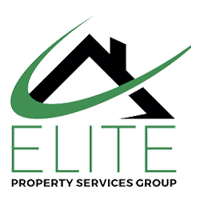 This database includes a comprehensive assortment of shingles, tile, metal, composites, slate, shake, underlayment, siding, and more. There’s no need to jump between manufacturer websites in order to showcase different products for your clients. 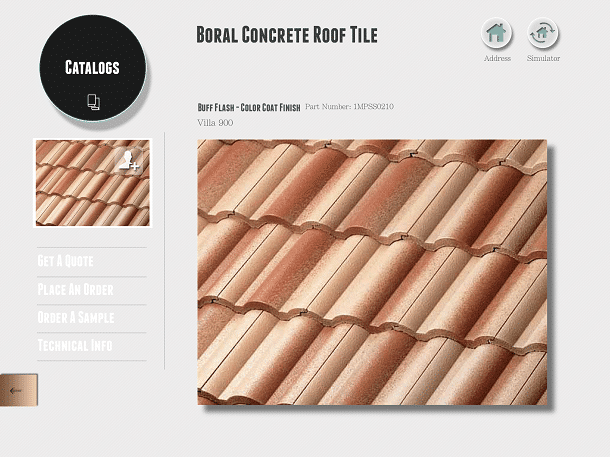 You have unlimited access to high-resolution product photos, brochures, tech specs, NOAs, and photos of beautifully installed roofs directly from the manufacturer’s own photo galleries. Catalogs are automatically updated and sorted based on your location, giving you the peace of mind of knowing you’ll only see the products and colors available in your area. 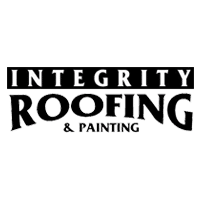 Furthermore, iRoofing allows you to customize your catalogs to show only the manufacturers, products, and colors you want your clients to see as you take them through your sales presentation. Having a convenient, easy-to-use catalog ensures that your materials are always available and ready to order when you need them. Loading another roof with Atlas Lifetime Warranty Architectural Shingles! 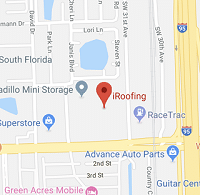 Thanks to iRoofing and ABC Supply for making all of our roofing jobs come together! Love this app! It would be my reference for any company. Also very simple to use.